Kick off your career at the place where our values define how we do business. You’re on your way to becoming a leader and Dell supports your development throughout your journey. Together we can thrive as a vital global company with a passion for creating innovative solutions, products and services for our customers. find no limits at Dell! Dell development program participants experience projects that are highly visible to leadership. Recent university hires at Dell share their experience and excitement for beginning their careers at Dell. Dell executives discuss how the company’s development programs are critical to the organization’s overall growth strategy. Explore our dedicated development programs designed to improve your professional skills and start a career by joining a team that empowers new ideas. Show us what you’re made of, and we’ll help you grow. The ELDP creates a pipeline of future leaders that will work through three nine-month rotations ranging from engineering to marketing to delivery. This broad business view helps them build the skills, perspectives, and connections that enable them to become solution architects, Chief Strategists, and CTOs. Additionally, through gaining unique perspectives and cross-business connections, they can benefit their teams and career path working towards technical and product leadership roles. The FGP curriculum covers all development areas which are necessary for fresh graduates to start up their career in an international finance organization. It focuses on development through individual and team trainings covering finance, technical and soft skills. The Finance Graduate Program is based in Bratislava and Panama and open to all recent graduates. The FDP provides entry-level finance employees an opportunity to launch their finance careers. The program consists of global finance rotational assignments and a significant academic curriculum focus to provide real, hands-on experiences and build solid finance and business skills. Participants typically experience a rotation assignment across corporate, business, or operational-focused positions, while also participating in the core curriculum. The Accounting Development Program (ADP) is designed to develop our next generation of accounting leaders by providing experiences that drive breadth and depth of accounting knowledge through challenging rotations, enhanced accounting training, and networking opportunities. Participants are provided support as they pursue their accounting certification (CPA, ACCA, CIMA or equivalent) and are eligible to earn the opportunity for international and regional rotations. To learn more visit. The HR Rotation Program has both an undergraduate and graduate path, both falling under the same program. Our rotationers take on work that directly impacts both their teams and the businesses they support. Other important aspects of this program include both formal and informal mentors, HRRP bootcamp, development sessions, General HR, HRRP, and HRRP alumni networking, and exposure to senior executive leaders, including the Chief Executive HR Officer. The ITDP is a 2-year program that provides our graduate hires with opportunities to network, learn and thrive in our global and innovative environment. We provide continuous support, mentorship and training to help launch your career. Assignments will involve real world challenges with in IT, continuous valuable training, networking sessions with global leaders, volunteering & stretch assignments opportunities, continuous mentorship guidance, peer social networking & teambuilding days. In the MMDP you will lead strategic assignments in various parts of the organization on a wide variety of teams such as: marketing operations, product marketing, and regional marketing. You will have access to structured and exclusive trainings, executive exposure through mentorships and events, networking opportunities within your cohort and other development program members, community service projects, coaching, inclusion in the MDP alumni network, and the chance to identify your ideal role within Dell. The UMDP consists of 2, one year rotations that fall under the Global Marketing Organization. The members of this program will have access to real time business projects including project management, product launches, writing customer success stories and participating in industry events in addition to conducting market research and making recommendations. This is a highly selective and program which provides the additional advantages of a cohort, trainings, coaching, mentoring and executive exposure. The BOLD program gives undergraduates the opportunities to receive monthly training, mentorship, and career planning over 3, one-year rotations. In these roles they will learn daily reporting and analysis of key performance metrics, business planning by product line and/or geographical selling territory, how to provide field support and systems updates to enable accurate sales reporting, and to support the building of predictive models using data analytics. The Dell Technologies Sales Academy is a 3-month onboarding and training program that educates candidates about our company and portfolio while teaching skills essential to becoming a great salesperson. The first month of Sales Academy is classroom training and the rest comprise of on-the-job training with intensive coaching. The Client Development Program equips recent graduates with the tools to begin building a firm career foundation through challenging and strategic assignments across the Client Support organization. This program includes exposure to data analytics, leadership curriculum and leadership- and peer-level mentoring. Participants will also engage in high-visibility networking opportunities, community service events and leadership speaker series. 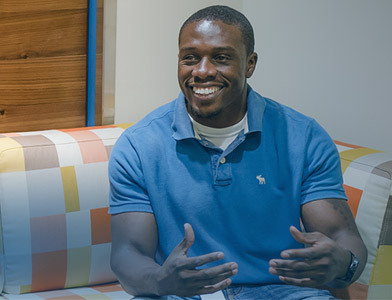 The Jump Start Program was created to help recent hires integrate easily into the Dell culture and work environment. This virtual, on-demand module can be taken by recent hires during their first year after joining Dell. The Jump Start Program will equip team members with learning and resources to align to Dell’s Culture Code, establish relationships, build a professional network, develop a career plan and more! Who: Recent graduates within the Product & Operations Business segment Time: 3 years Where: US (Austin, Round Rock, Hopkinton, Franklin, Santa Clara, Seattle), India (Bangalore, Chennai), China (Shanghai), Taiwan (Taipei), Malaysia (Penang) and Singapore. For cities not mentioned, live-facilitated virtual programs will be available. The Graduate Development Program’s mission is to enable our recent grads to create strong networks, achieve critical experiences, and develop core skills that position them for career success at Dell. Our recent grads will have the opportunity to learn about Dell’s strategy and diverse product lines, participate in peer job shadows, gain a cross-functional understanding of how our business functions work, learn how to succeed in their careers at Dell through Lessons in Leadership sessions, grow new capabilities through engaging courses, and more! GSAP offers a fun and rewarding training environment that provides future career development and networking opportunities. Through this program you will gain experience in technical and analytical work through customer facing roles in 8 core areas. GSAP’s learning environment allows you to focus on your professional development and technical skills so that you can become an individual contributor and add value to your team within a shorter time frame. The assignments in the GLSDP will provide exposure to the diverse areas of Global Enterprise Services. We aim to build future leaders through strategic experiences, foundational leadership training, and professional networking skills. We are looking for individuals who can think strategically, solve problems, and can multi-task in a fast paced and rapidly changing technical environment. The program accelerates our associate’s careers and delivers high performance and strategic thinking to the business. The SCDP offers total supply chain and professional development, including three yearly rotations in unique roles/departments, an extensive functional and professional development curriculum, built-in networking opportunities with executive leadership, personal leadership opportunities, community service/team-building, and a mentoring system. Overall, the depth and variety of experience received through the rotations and diverse trainings allow participants to gain invaluable skills early in their careers.